Many beads on the jewellery supplies market are made with small holes - this is especially the case when it comes to real and natural gemstones. In general gemstone cut beads are small and the process of drilling through them must be done with great care. There are a variety of threads and accessories that enable you to string beads with smaller holes and this technique creates some beautiful jewellery designs without the need for advanced jewellery making such as stone setting and silversmithing. Traditionally gemstone beads such as briolette beads, rondelle beads and pearls are designed for stringing on fine thread. So we have compiled the following list of different threads and accessories to help you create this look in your jewellery designs. We recommend using either a 0.2mm or 0.3mm thread or wire for beads with small holes. When using wire care must be taken not to force it through the hole as you will risk breaking the bead. 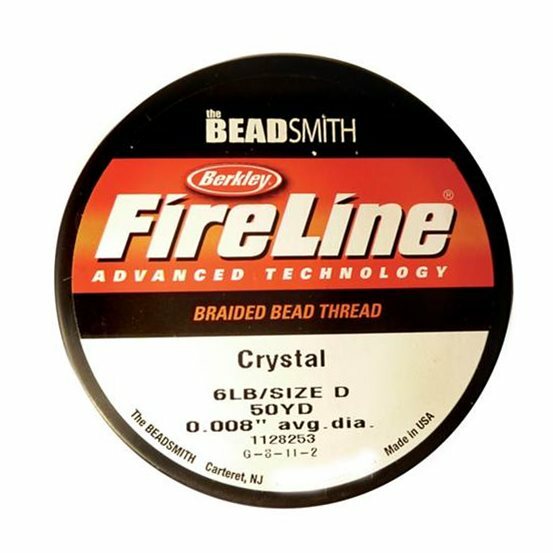 Fireline is a great beading thread for beginners and is suitable for use with metal seed beads, bugle beads and crystals where sharp edges of the beads may cut other threads. 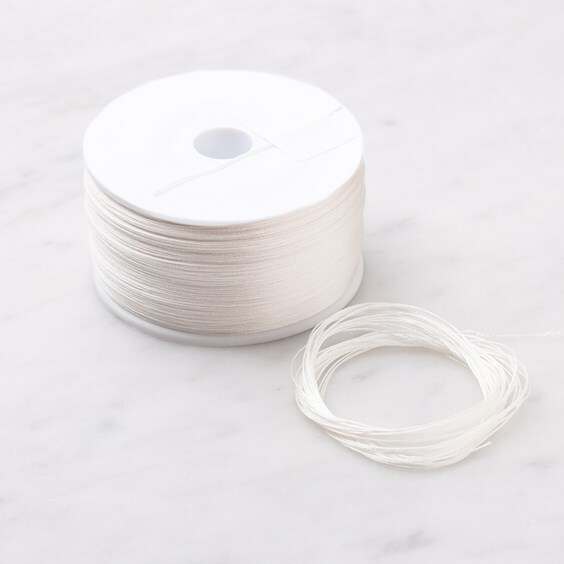 It is incredibly fine yet strong; this particular thread is only 0.2mm thick and will take a weight up to 6lbs! It`s great for off-loom beadweaving, seed beads and pearls. A very fine natural silk thread. At 0.2mm in diameter, it is ideal for threading pearls for a traditional look and is also great for knotting. A super fine beading wire which is incredibly strong and has a lovely flexible drape; making it just perfect for pearls, chips and other small gemstone beads. It is made from 7 strands of steel with a nylon coating and is a nice steel colour which matches well with all beads. 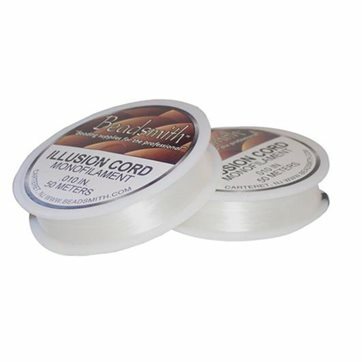 This clear nylon monofilament cord is strong and soft, yet durable and nearly invisible. Perfect when beading with lighter coloured stones as it won`t show through. We also have a range of wires available if you want to wire wrap your beads (but remember not to force the wire through as you will risk breaking the bead). 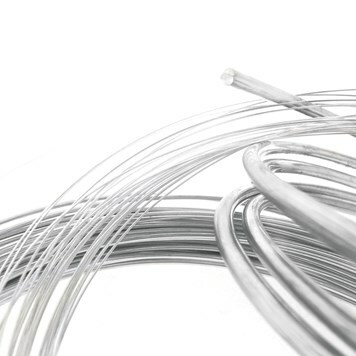 Choose from 0.3mm sterling silver wire or 0.2mm or 0.3mm silver plated wire. They make threading multiple beads with a small hole on a fine thread a whole lot easier! They are a real time saver. 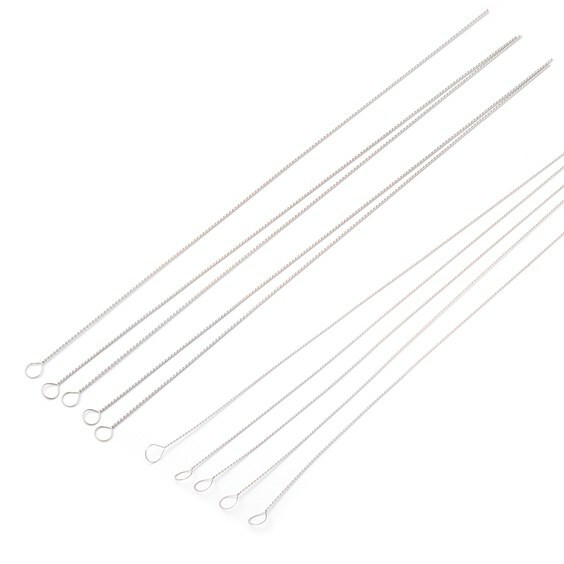 These extra fine headpins are a must have for anyone working with smaller beads as the wire measures approximately 0.35mm so will fit most of our smaller beads (such as our faceted rondelle beads and 3mm round gemstone beads). 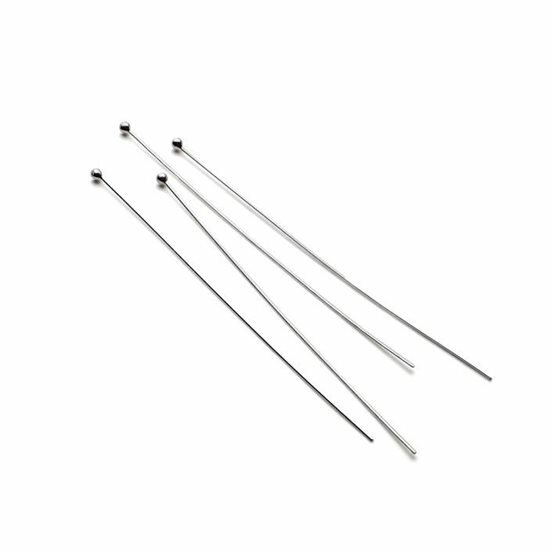 They have a 1.5mm ball on the end so can be mix and matched with our 0.5mm headpins to keep your designs looking consistent. Simply trim to length using snips and create a loop on the end using round nose pliers to attach your chain or findings. 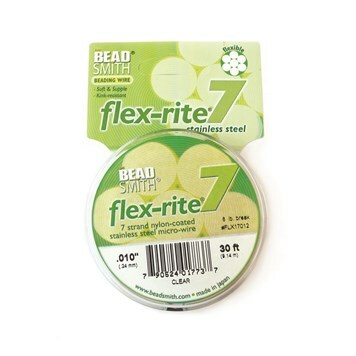 The deluxe diamond bead reamer set by Beadsmith eliminates the need to rethink your choice of thread or change your design when you really can't get your thread to go through. The bead reamer enables you to gently enlarge the holes in stone, glass, ceramic beads as well as pearls. The set includes a small and a large reaming point for smoothing, straightening and enlarging bead holes. It also includes a 45° edging point for rounding and smoothing holes where sharp edges could cut through thread. The points are easily changed and can be stored inside the hollow handle so they are always to hand. Spare points are also available. Simply secure your bead into position, insert the reamer in to the drill hole and twist, we recommend that you twist until you reach the centre point and then turn the bead and work it from the other side to create an even hole throughout the bead. Used with water to lubricate and just a couple of gentle 'twists' is all it usually takes.